Forums » Motorcycles and Bicycles » Grantorismo with bikes! 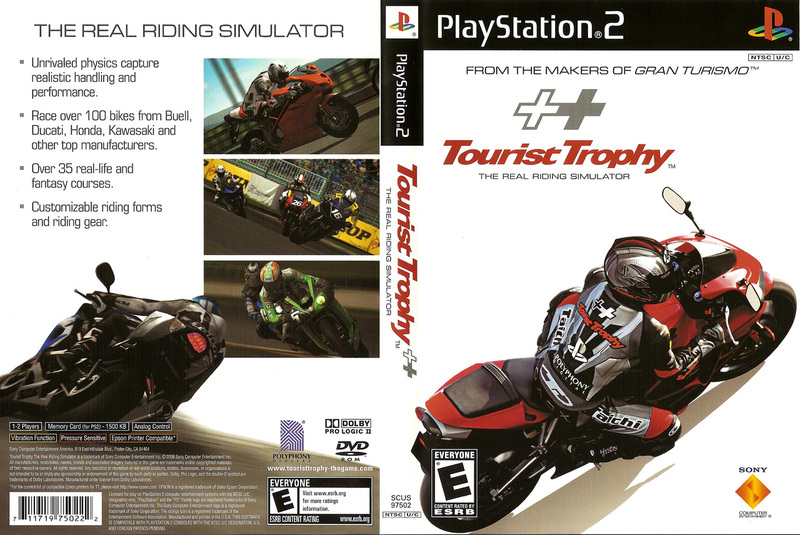 There was a gt with bikes, tourist trophy is literally grantorismo only with bikes, no really it's polyphony digital and the same tracks and physics engine as gt4. Anyone else played this? I thought it was great and would love to see a new version based on gt sport when it comes out. I don't think it sold well, largely as a result of a poor (nonexistent) advertising campaign. Actually own it, its a little different to get used to the balancing scheme at first but it is a fantastic game. What are the inputs? How does the controller work? Do you countersteer? Mount handlebars across a Logitech wheel? WTF? Ransom wrote: Wait, what? What are the inputs? How does the controller work? Do you countersteer? Mount handlebars across a Logitech wheel? WTF? I'm very, very curious. I have (had?) it. Been many years since I played it so my recollection may be wrong, but this is what I got... Most of the driving controls matched GT4 but they added the ability to shift the drivers weight forward and back as well as the ability to go into a tuck. Don't remember being able to shift weight left or right to lean into a corner but I think there must have been since I sort of remember an option to have that done automatically. I did not have a wheel, I used the controller. There were a mess of bikes, not as much as the GT4 version had cars, but still lots. My favorite was a little 250cc 2-stroke GP screamer. The big GPs were a handful. Wheelies at will. They added Valencia as unique to Tourist Trophy, and they added chicanes at Sonoma and Suzuka which I thought were impossible to get through without crashing. Forgot how to post video, good demo for those who have not seen it before. I loved that game. I wish they had a newer version of it. Spoolpigeon wrote: I loved that game. I wish they had a newer version of it. I played this game a lot when it was new. My favorite way to play was riding a 250 on a twisty track. I always seemed to enter corners way too hot on the liter bikes. I liked that game a lot but I never thought it was as good as the "Riding Spirits" series. There was nothing like controlling everything, even when you put a knee down or kept it tucked. 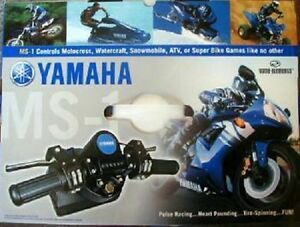 I also liked Riding Spirits modification options, I loved stripping the lights and slapping an oil cooler to the front of an old Z1 with an awesome selection of exhausts as well. 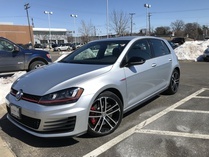 I wanted it when it was new, but I never picked it up. Although I did play a demo once and enjoyed the complexity of an MC compared to a car. In case people are wondering about special controllers for this game, I've got the Yamaha handlebar controller for PS2 that also comes with a Gamecube/OG Xbox adapter. It worked OK with ATV Offroad Fury but it can't understand the countersteeering aspect of Tourist Trophy. Therefore it is useless for TT. 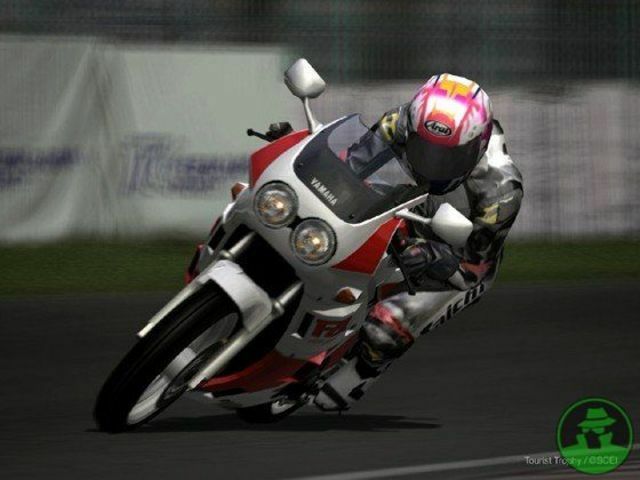 Try out Ride 2.....it's very close to Tourist Trophy.